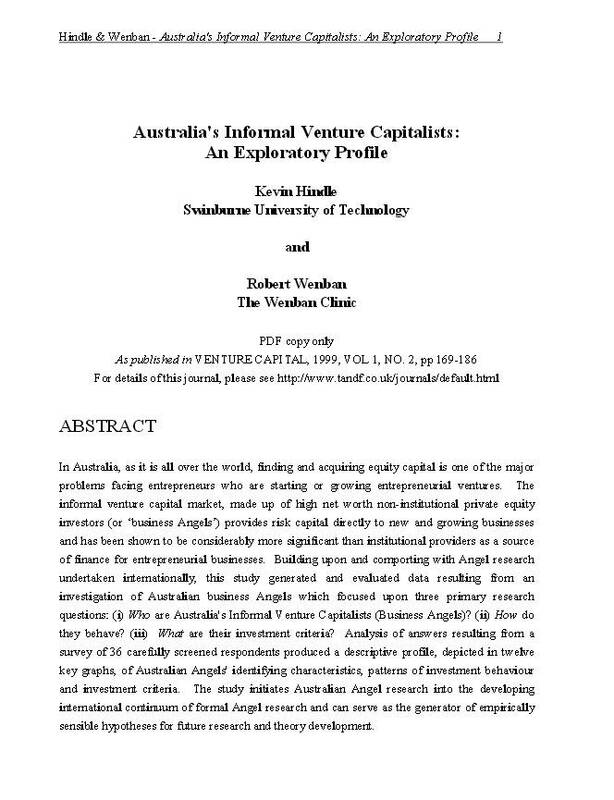 This paper reports a project which employed a convenience sampling technique compatible with similar international investigations to develop an exploratory and suggestive profile of Australia’s business Angels. Four objectives motivated the study. First, the research was designed to complement the ‘Angels’ research done by others thus helping to augment the existing world-wide picture of Angel characteristics and behaviour. Second, was a desire to extend existing research by scrutinizing and enhancing the methodology of Angel research presently developed and previously employed. A third aspiration was to help to define Angels with greater regional clarity. Finally, it was intended that the emergent, tentative construct might produce well-grounded propositions for subsequent hypothesis testing and thus serve as the initial study in a structured chain of research. 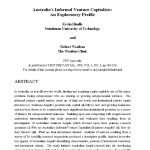 Posted in Angel Investment, Asia Pacific, Business Intelligence, Federal, Innovation, Venture Capital and tagged angel characteristics, angel research, angels behaviour, Australia, business angels, Hindle, informal venture capitalists, international investigations, rational clarity, sampling technique, scrutinizing the methodology, Swinburne University.